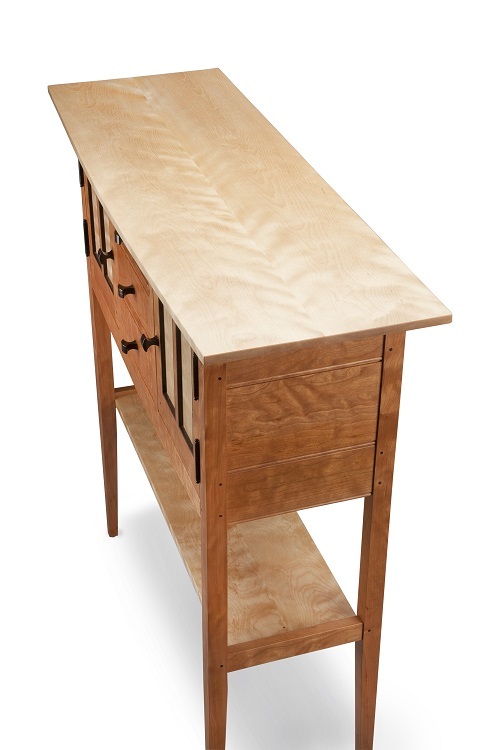 Most of the furniture that Tom handcrafts is inspired by the Shaker form. The clean lines and simple design allows it to fit in with many styles of decor. He likes to let the figure of the wood be the focal point along with it being functional, practical as well as a piece of art. 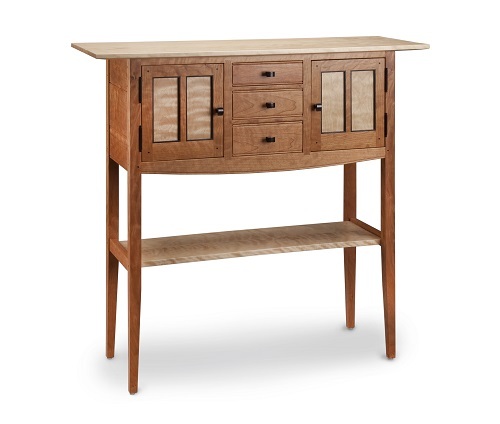 You will find the pieces very traditionally made. 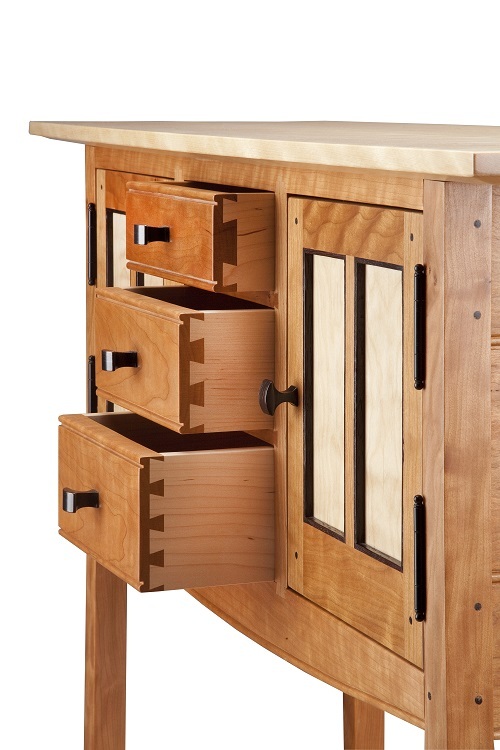 All solid wood construction which includes mortise, tenon and pegged joinery. Along with dovetail drawers using aromatic cedar for the drawer bottoms. The design of the furniture does not start with a plan, it starts with the figure of the wood. He chooses each board using the best figured wood as the top of the table. He incorporates different woods in the pieces i.e. cherry, black walnut, maple, birch, and a few exotics, leopard, zebra and ribbon mahogany just to name a few.